Our spacious apartments are designed for comfort and ease of living, with features to brighten your day. Fully-equipped kitchens will inspire you to explore your inner chef, with available stainless-steel appliances, ample counter space, and modern finishes. Central air conditioning keeps it cool in the hot months, while a toasty fireplace brings in the warm and cozy when it’s cold. Practical elements include large walk-in closets and extra storage to organize your life, along with an in-home washer and dryer combination to minimize the chores. Spend your down time by the pool, or stay toned and pump a little iron in the fitness center. 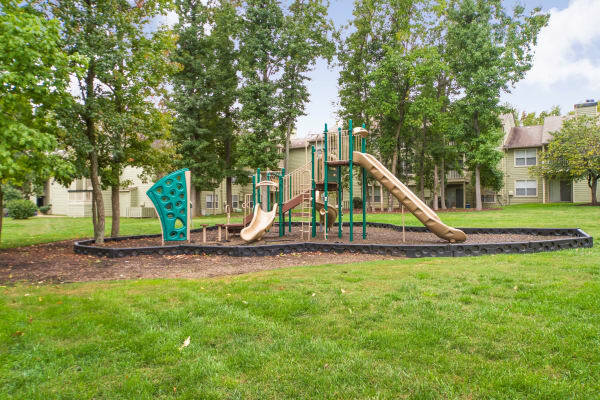 Our beautiful landscape is the perfect place to sit under a tree and watch the kids laugh and run on the playground. 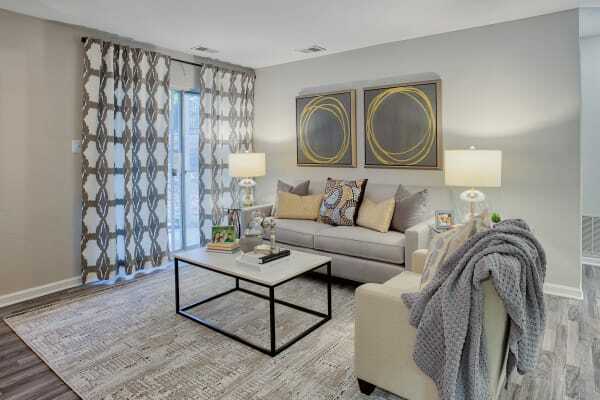 Visit our Photo Gallery to get the big picture of apartment living at Hunter’s Chase Apartments near Swift Creek Reservoir.